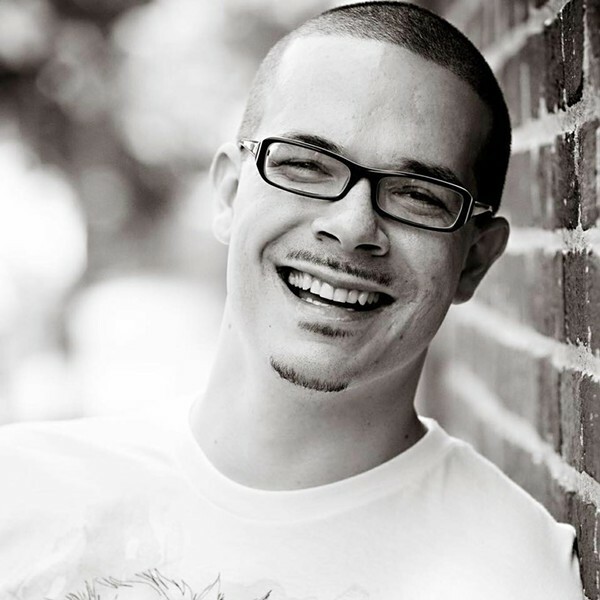 New York Daily News senior justice writer Shaun King has emerged as a leading voice in the Black Lives Matter movement and a must-read on criminal justice issues. King was also a vocal supporter of Bernie Sanders during the Vermont senator’s presidential campaign. King spoke with Seven Days ahead of a talk he is scheduled to give at Middlebury College on Tuesday at 7 p.m. in the Mead Chapel. The conversation was edited for clarity and brevity. Seven Days: Has this election season made the national conversation about race and police better or worse? Shaun King: I would probably say worse. It hasn’t helped it. The few times the presidential candidates have talked about it, it’s been a pretty one-dimensional conversation. For most mainstream Democrats and virtually all Republicans, law enforcement and their families and supporters are still a part of their voting base and they refuse to talk tough about it. We’ve struggled to get these presidential candidates to talk about it in any serious way, but that’s no different than any mainstream issue right now. It’s just been an ugly race altogether. I hear a lot of activists say we’re all looking forward to the presidential race being over because we feel like it dominates the news cycle in so many ways that the country will be able to talk about more substance. SD: I cover the criminal justice system here, which means I encounter a lot of poor white people. And I don’t think most of them feel particularly privileged about their station in life, and they probably share a lot of concerns about modern policing that Black Lives Matter activists are talking about. How can we bridge that gap? SK: That’s part of why I was behind Bernie Sanders, because I saw what I thought was the road map to how you bring together marginalized groups of people that have way more in common than even they may understand and appreciate. Bernie resonated deeply across the country with poor white people particularly in rural states. Because of the way our country is, they aren’t enemies so much as they are strangers. Race and racial issues divide these groups in ways that they just shouldn’t. There’s a real misunderstanding when a guy like me or anybody talks about white privilege. When you are poor and white and struggling and you hear me talk about white privilege your assumption may be I’m talking specifically about you — and that’s not always the case. When I’m speaking about what white privilege means, it’s not them I have in mind, but so many other people who do benefit from that. Our conversations about race are way too simple and our solutions to a lot of problems don’t fit in a tweet. SD: When confronted with evidence of racial bias, police often argue that their officers are not racist, but rather suffering from implicit bias. What do you think of implicit bias? SK: I do think everybody brings levels of bias to their profession and life and work. I hear people talking about it as well and it’s very problematic, but I see very few police departments or even regular places of employment actually doing the work to address it, solve it, propose substantive solutions — that’s what bothers me. It’s not enough to say, ‘Hey, we might have implicit bias in our police department.’ The conversation is getting started, but that’s about it. SD: We’re more than two years from Ferguson. I know the conversation is still ongoing, but has any progress been made? SK: The conversation will always go on. Over the past two-and-a-half years, one thing that has happened particularly well, and it may be the only thing around police brutality, is that hundreds of millions of people in the U.S. and around the world now believe police brutality exists and is a problem. That was very hard to achieve. That didn’t exist three years ago. But what I’ve learned is that deep awareness of a problem doesn’t solve it. We worked hard for that awareness, but we’re not seeing change at the pace we should be seeing it. SD: Why and how do we fix it? SK: I learned the system of American policing and our criminal justice system is immensely complex. What we’re talking about is 20,000 different problems. It’s very difficult to solve with the swoop of a federal pen, a national policy, because police departments are really the most autonomous forms of government across the country. They’re fiercely independent and there’s little a president can do about police brutality. The change has to happen on a highly local level, city to city. Our criminal justice system is not broken, it was built to function this way. That realization was a light bulb moment for me. It wasn’t a well-designed system with a few little flaws, it was designed with bad intentions in the first place. SD: You spent some time recently with San Francisco 49ers quarterback Colin Kaepernick, at a youth “I Know My Rights Camp” that he organized. What was that like? SK: He and I have become good friends. We had talked and texted dozens of times but had never met. It was powerful. I was really encouraged by him. Football is a brutal sport physically and he spent his weekend off trying to reach and teach the children of the Bay Area. What excited me about seeing him do this work over the weekend is I feel like he has found his calling. Football is his profession, but I think he’s beginning to find something he could do for the rest of his life and it’s exciting to see somebody discover that. I think he and other athletes have been greatly responsible in keeping justice in America at the forefront of our conversations, knowing full well that millions of fans despise it. I’m deeply inspired by him. SD: If you could immediately change one thing in the criminal justice system, what would it be? SK: Put body cameras on every police officer in America and have the footage managed by an independent body and have really strict policies on what officers are allowed to do with that footage and cameras. We don’t see that right now. Because body cameras have not been done well, a lot of people have soured on their efficacy. I don’t believe that. Several studies have shown … they ultimately protect not only people but the police. I’m still really bullish on their possibilities.